If you are like me then the late afternoon to early evening hours are the most hectic hours in a day, especially if you've not been home all day. We've now thrown in a foster dog so I am budgeting in his walks, too. Let's face it. Busy weeknights are tough and figuring out a quick dinner is a must to keep your sanity. As kids age, extra-curricular activities start becoming during the dinner hour. What if you have more than one child and one activity is at 5 p.m and one is at 7 p.m. If you are not careful, you'll be eating out way too much during the week and blowing your family meal budget very quickly. When you are my age, too many restaurant meals cause extra pounds and bloating. I thought I would share with you what I do in my home. 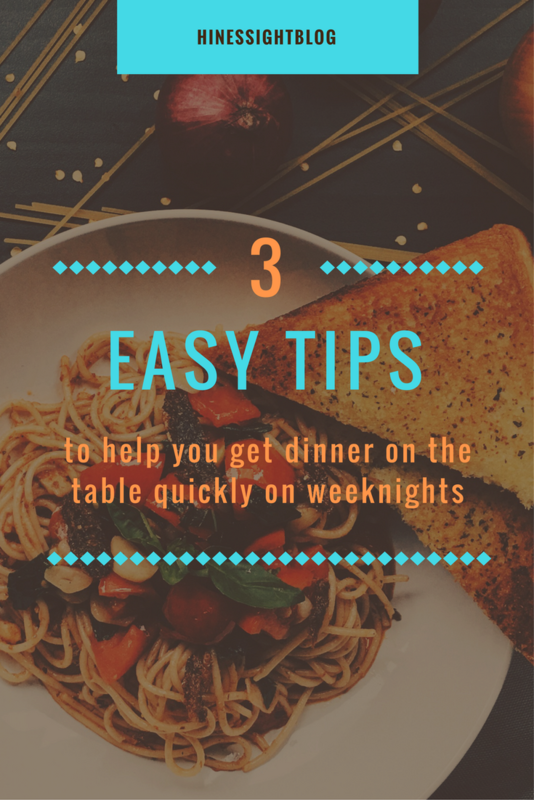 I'm not perfect, and I make timing mistakes all the time, but I've been relying on the 3 tips that help me get dinner on the table more quickly for my family. I love a good recipe just like anybody else. But, honestly, if there are a lot of ingredients or a lot of preparatory work which translates into several pots or lots of chopping, I toss that recipe aside. I no longer have the luxury to plan my meals around recipes that require a lot of ingredients or steps. Times for different when I had younger kids who napped and watched TV late in the late. I now save those types of meals for weekends. Our family meals usually consist of a meat (protein), a vegetable, and either brown rice or orzo pasta with feta cheese. It's quite simple. The kids will eat most of it and there is very little waste. Look on Pinterest for recipe ideas that you cook ahead, freeze and pull out on a weeknight, too. Use your crockpot and some people use an Instant Pot for busy nights. It cooks crockpot meals very quickly. I've yet to see one in person, but I'm seeing a lot of recipes for them. I use a produce delivery service, and I order my produce and/or meats on Monday, and it gets delivered on Wednesday. I find that having an abundance of different seasonal produce has really helped me go to more basic cooking like sauteing fresh vegetables or roasting them than serving the vegetable as a side. I don't rely on recipes as much on weeknights. PapaSpuds, which is the produce delivery service that I use also offers fresh pasta and organic meats. I tend to order the chicken thighs and chicken legs the most often just because it is a better bang for your buck. My kids love my roasted chicken and kale recipe. It's simple and easy for a busy weeknight meal. I also rely on the meal kit delivery service of HelloFresh. I like it because I have a ready to go meal kit waiting on me in my fridge. I place my meal selections by Thursday and the meals are delivered to my doorstep the following Tuesday. It helps supplement two meals a week for my family. The service is flexible so sometimes I skip a week, depending on what we have going on that week. HelloFresh meals are typically quick to prepare and really help working moms out a lot. As part of the service, you keep all recipe cards so I can cook our family "HelloFresh" favorites anytime I want. Another thing that I like about the service is that when you regularly for the type of meals that HelloFresh offers families, the grocery bills add up for the ingredients you need to prepare this type of food. Your meal kit has everything you need in it to make the recipe except for salt, pepper, and olive oil. Those are three items that every cook needs to have in stock at all times. If you have those in stock then you can make any HelloFresh sent to you. I sometimes freeze my meats and wait on the meals. Obviously, you cannot do that on every recipe, but I've done it if I have things going on and I don't even have time to make a HelloFresh meal or we have school events where food is served. 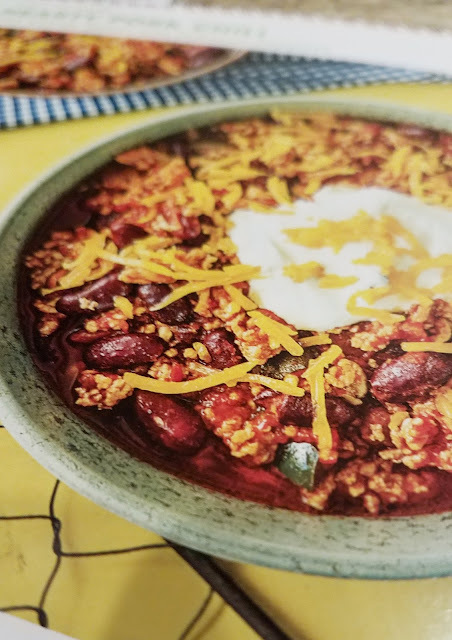 This one-pan hearty pork chili is a dish I made recently from my menu choices. We loved it, especially my kids. Think like a European. In America, we tend to load up when we go to a grocery store.It's like we feel there is a food shortage or a snow storm coming any minute. It's a mindset thing here, I think. Maybe we do it because we think it helps us on time management, but when I do it I sometimes spend more monthly and end up wasting food. For example, I would buy another box of Pepperidge Farm Goldfish because I was at the store and did not know when I would go to the store again. Later, I would open the pantry and those pesky kids of mine opened the new bag of goldfish instead of finishing the older one first. and didn't finish the one that still had a half a bag. Now, I had two bags open and one would get stale. Now that I do a lot Tip 2 consistently, it has cut back all that I need at a grocery store and I have more of a European mindset, I stop in little markets and pick up just a few things. When you do not have to shop a long list, you will be surprised at how easy it is to pop into a market and pick up just a few items. My kids love seafood so these little quick trips to a market the beginning of a week, it enables me to add it to your menu more often for a quick meal with a side. For working moms, if you have time to go home at lunch or stop by right after work then it will make it easier for you. You can get quality seafood then cook it that night or the next night and serve with starches and vegetables already in my kitchen. It's a very quick trip to the market. Europeans do this all the time in their little neighborhood villages. People in larger cities are the same way. They may only have flowers, wine, chicken, bread, and asparagus in their carts. For years when I saw someone with only three items at checkout and my cart looked liked I shopped just once a year I was like, "who are these people that only buy a few things at the store?" Well, I'm now one of them. I pop into The Fresh Market in Cameron Village in Raleigh because they have good specials on Tuesday. We all have a little go-to place near our neighborhood and that one is mine. The minute I step in that place I relax. It's small, and I always grab a little coffee sample. It used to be more high-end seventeen years ago when I first moved to Raleigh and at times, frustrating because I could not be able to get some staples that I may have needed. For example, if they even carried Heinz ketchup then it would be small and overpriced, but they revamped their selections and now, you really could shop there for most everything, including Heinz ketchup. My husband grew up on Heinz ketchup and he is not happy if I bring home another brand. We joke, "After all, our name is Hines." 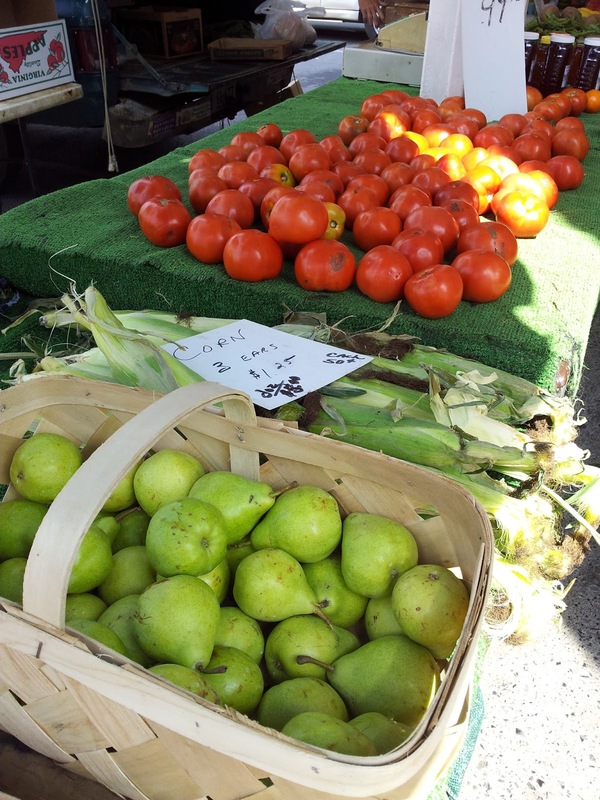 Utilize those small markets and even Farmer's Markets more often, it will cause you to buy just what you need at the time and nothing more. Disclosure: Referral links for the services I use are in this post.